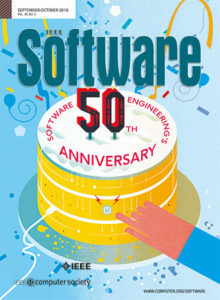 IEEE Software offers pioneering ideas, expert analyses, and thoughtful insights for software professionals who need to keep up with rapid technology change. It's the authority on translating software theory into practice. Proud publisher of SE Radio. © 2019 Software Engineering Radio. All rights reserved. Theme by Solostream.